A New Brand For Taqueria De Anda Restaurants. Starting as a catering truck in Fullerton, CA, Taqueria De Anda is a family-owned restaurant chain that serves authentic Mexican cuisine. They use only the freshest ingredients, and they specialize in tacos and burritos amazing enough to satisfy any hunger. Looking to brand their business and gain more customers, Taqueria De And a approached us to design and develop their logo, stationary and screen menu boards. We used bright bold colors and abstract imagery to give it that Mexican flavor we so desire. 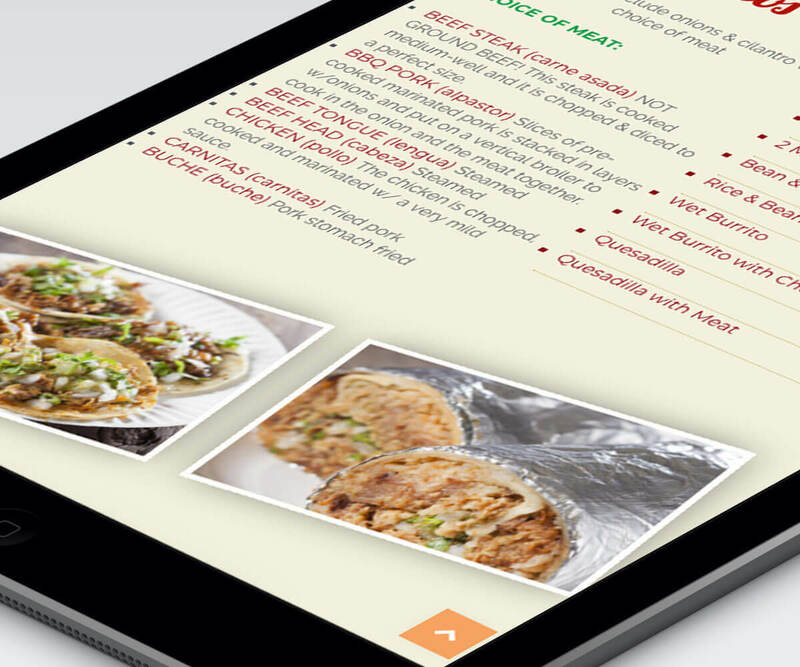 Being known as the best Mexican restaurant in Orange County, we wanted this website to be as mouthwatering and satisfying as the food they serve. We used bright orange and green color accents, whimsical graphics, and interactive features to give the site a fun and lively feel. 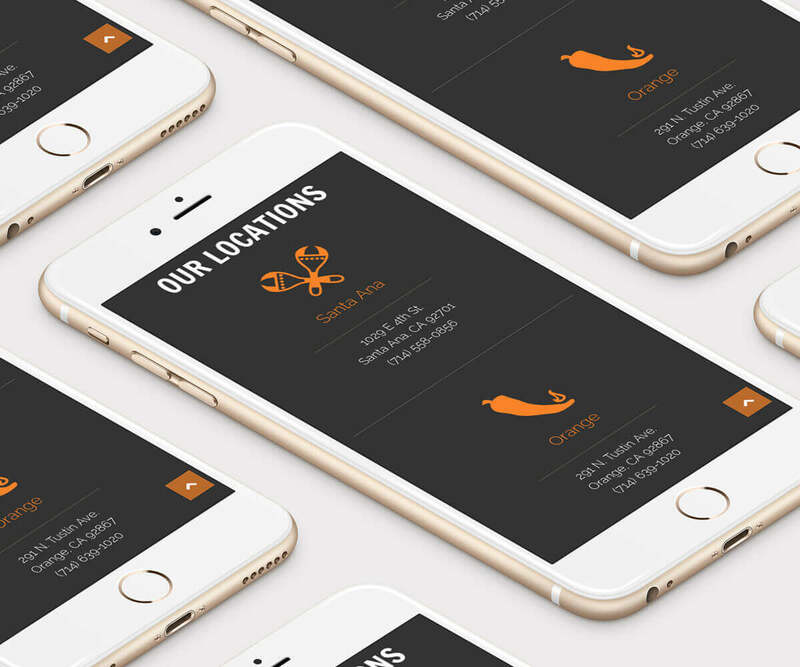 We included a full menu, a catering appointment scheduler, and a location map, all mobile responsive so it can easily be used on-the-go, and customers can get their grub on right away!